U.S. Department of State. Office of External Research. 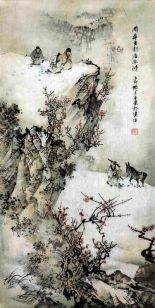 List of Chinese Dictionaries in All Languages. Washington D.C. 1967. Mathias, J. and Sandra Hinson. A Compilation of Chinese Dictionaries. New Haven: Far Eastern Publications, Yale University, 1975. Morohashi Tetsuji 諸橋轍次. Dai Kan-Wa jiten 大漢和辭典. 13 vols. Tokyo: Taishōkan shoten, 1957–1960; rev. and enlarged, Tokyo: Taishōkan shoten, 1989–1990. Vol. 14, glossary of all words and phrases arranged according to the Japanese syllabary. Supplement: Dai Kan-Wa jiten. hokan 大漢和辭典補卷. Tokyo: Taishōkan shoten, 2000. Zhang Qiyun 張其昀 et al., comps. 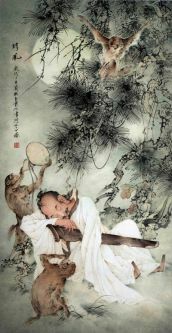 Zhongwen da cidian 中文大辭典. Taipei: Zhongguo wenhua yanjiusuo, 1962-1968. 38 vols. + 2 vol. index. Ref PL 1420 C57 10-vol. edition also available.